The other day a package arrived in my mailbox. It carried an Arizona postmark and was so soft and squeezable I knew children’s hats from Peggy had arrived. Peggy read about the Hats For A Purpose project and started knitting these lovely hats in all sorts of colors and styles. I’m so thankful for Peggy and her wish to help others, especially through the ‘handmade from the heart’ medium. Even with our cold winter weather behind us I’m finding other children needing hats: one person crocheted the tiniest and softest baby hats that went to the neo-natal ward at the Children’s Hospital at Albany Med and two other readers made hats for cancer patients. 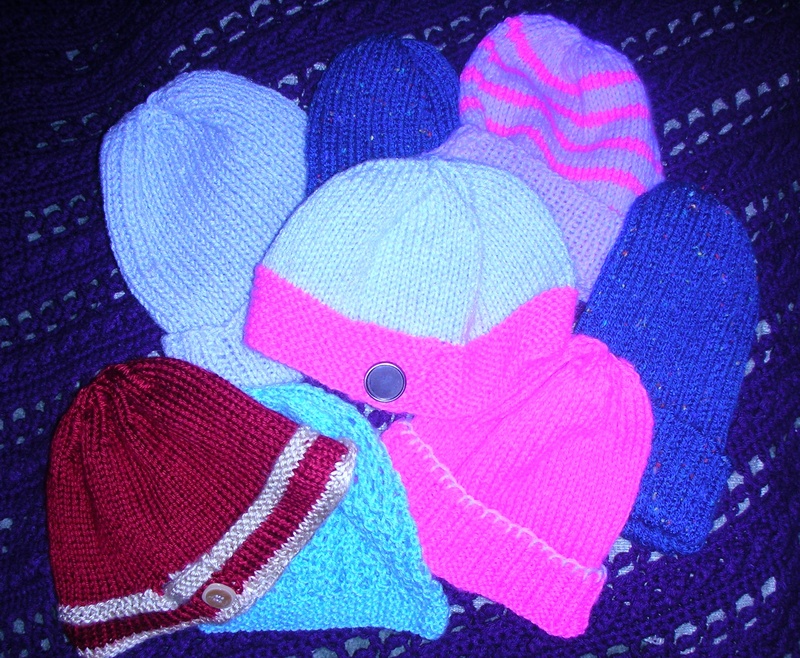 I expect we will find other needs as well and perhaps other places to provide hats for children who need them. Maybe we should look to adults with similar needs.